In 2008, as the financial markets crumbled in the largest economic crisis the world has seen since the 1930s, Satoshi Nakamoto published a white paper describing his Bitcoin network and the blockchain technology that was used to enable it. (By common convention, Bitcoin with a capital “B” typically refers to the Bitcoin network as a whole, whereas bitcoin with a lowercase “b” refers to the digital asset of the Bitcoin network.) Since then, while markets have recovered, Nakamoto’s creation has flourished and spawned countless other “altcoins” along with new uses and applications for his blockchain technology and its derivatives. Because the Bitcoin network and blockchain technology have become key components of today’s digital economy, it is important for attorneys and others to understand the basic terminology and features of this technology. This article provides high-level explanations for this purpose. In fact bitcoin is the “digital asset” of the Bitcoin network and is sometimes referred to as “virtual currency” or “digital currency.” Unlike a traditional fiat (government-supported ) currency (e.g., U.S. dollars), like a piece of paper, or a dime metal coin, bitcoin is a digital asset that exists only electronically. Of course, Bitcoin was not the first electronic form of money. In some respects, credit cards and on-line banking are also digital currencies. That said, Bitcoin is more than a digital currency, it is also a “crypto currency.” In other words, it uses advanced cryptography to protect your bitcoin from being stolen. Every bitcoin owner has a “public key,” which is the information anyone can see, like an account number, and a “private key,” which is a secret number used to unlock the account for transactions. In traditional bank accounts, your account balance is maintained in secret on a “private ledger,” typically a locked computer database maintained by your bank. It is private because only you and other authorized personnel can access your account history. Bitcoin differs because it uses a “public ledger” – known as “blockchain” technology – to ensure that anyone participating in the Bitcoin economy has a copy of every transaction that has ever occurred. Blockchain technology has proven to be quite useful well beyond Bitcoin, and has fostered other alternative coins (or “altcoins”) and other public or quasi-public ledger systems that utilize the same basic framework. The Bitcoin blockchain is maintained by a crowdsourced group of global “miners.” In order to process a transaction, various miners compete to be the first one to solve a difficult math problem. Solving this problem enables miners to add a “block” (associated with the latest transactions) to the “blockchain” (a chain of records of all prior transactions within the Bitcoin economy). Miners typically control substantial computer networks, often with special hardware developed specifically to solve these difficult calculations. What motivates a miner to make the substantial economic investment to build and maintain these computer networks? First, at least for the next few decades, miners will be awarded a significant number of bitcoins – e.g., 25 bitcoins every 10 minutes – if they successfully solve the problem. At $4,500 per bitcoin, a miner can earn $112,000 for just 10 minutes of work. (Each block of the blockchain is mined every 10 minutes.) However, the number of bitcoin awarded for successfully mining a block will be reduced over time, and at some point in the future will be zero. Second, in order to encourage miners to include a particular transaction in a block, participants may “tip” the miner and pay a transaction fee. Although this is not a driving force today, it is expected that in the future, as the number of bitcoin awarded for each block is reduced or eliminated, tipping is likely to become more prevalent. What are key attributes of Bitcoin? So what are some of the attributes that makes Bitcoin special to their true believers? First, it is “pseudononymous.” Each account is identified only by its public number – so no name is necessarily tied to the account. Second, all transactions are transparent. Through its distributed public ledger, anyone can look up the balance in any account at any time. Indeed, the complete transaction history of any specific bitcoin can be traced from the day it was first mined, through every account it was passed through. Third, it is independent of any and all governments or central authorities. For true libertarians, this is considered one of the greatest strengths of Bitcoin. It is also a trait that makes some people uneasy. There is no central bank to regulate Bitcoin. Fourth, it is irreversible. Once a transaction is signed and added in a block on the blockchain, it cannot be reversed. The price of bitcoin tends to be highly volatile. Because, unlike the dollar when it was on the gold standard, the value of bitcoin is not backed by anything other than the owner’s trust that someone else down the road will be willing to accept bitcoin in a future transaction for an acceptable value. Since Bitcoin is still relatively new, regulation associated with it is still a work in progress. In many jurisdictions, there are no regulations on Bitcoin. In other jurisdictions, like the state of New York which seeks to be Bitcoin friendly, Bitcoin is the subject of balanced regulation designed to foster innovation. However, in some jurisdiction, where Bitcoin is perceived as a risk to the stability of the local currency, Bitcoin may be heavily regulated or even banned. Since there is no central authority regulating Bitcoin, there is an uncertainty to Bitcoin governance that can lead to chaos. Generally, the rules of Bitcoin are governed by the behavior of the majority of those participating in the Bitcoin economy. At times, Bitcoin “forks” have occurred. In other words, when a substantial dissent arises with respect to a transaction, the blockchain may become forked into two separate blockchains. This happened recently when the Bitcoin network was forked, creating a new network called Bitcoin Cash. Ethereum is especially important because it enables “smart contracts,” that is, contractual terms coded into the coin itself, as well as “tokens,” which code the coin to track other assets like inventory, stocks, or other items of value. The business models associated with Bitcoin, altcoins and blockchain technology continue to evolve and are likely to become increasingly important in our digital economy. Expect more cryptocurrencies to be created – as Burger King just did with Whoppercoin. Blockchain technology for the enterprise will continue to explode outward, with new applications in gaming, digital identity, real estate and even cannabis. Partnering, funding and dealmaking will also mushroom on a worldwide basis, as more organizations, institutions and governments get in on the action to avoid disintermediation. And, Bitcoin and blockchain rockstars will emerge, either from successful exits, notorious hacks or milestone accomplishments. On Thursday, September 14, 2017 at noon EDT, we will be hosting a webinar to discuss Keeping Up with the Bitcoin and Blockchain Opportunity, using smart dashboards maintained by Intellar.com to track global players, technologies and events in this explosive area. For more information on Bitcoin, blockchain, altcoins, and intellectual property issues associated therewith, please contact the author at cmacedo@arelaw.com and for more information on Intellar™ dashboards powered by Perception Partners® please contact author at bbrager@perceptionpartners.com. Barry Brager is a World-Leading IP Strategist, recognized for the past 9 years in the global IAM 300 listing, most recently in 2017. He is a Certified Licensing Professional (CLP), Registered Technology Transfer Professional (RTTP) and the Founder and Managing Partner of Perception Partners®, an innovation services firm specializing in intellectual property strategy, competitive monitoring and patent brokering transactions. Barry helps early-stage companies, F500 firms and research institutions leverage organic and investment capital to improve business results, monetize IP, commercialize disruptive technology and create competitive advantage. Barry's firm provides software tools and executive level insights about complex IP matters to senior management, in house IP counsel, outside patent counsel, R&D managers, business development executives and economic development leaders. Barry is also the Chief Executive Officer of Starpound Corporation, which licenses technology to turn mobile phones into remote control devices. 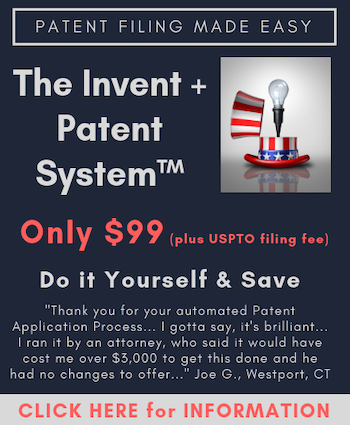 Barry holds six patents and others pending related to these endeavors. The future of economy will be digital,so a good,proven and trustfull blockchain platform connected to a digital coin will be needed, like ardor/ nxt/ ignis.